A good pair of ear set, a calm environment and nice music is all a person needs some time. Ear sets come in different packaging in the market but only those get sold quickly who have nice and premium packaging. You may see various brands selling ear sets but there are very few who have good packaging. Ear sets are packaged in a hanger box which can be easily hanged in the shops. 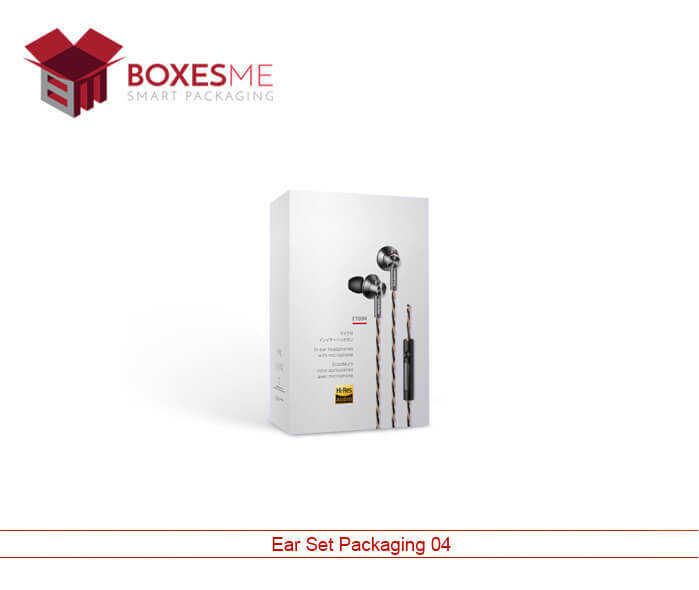 Ear sets boxes have normally featured like good packaging, nice coloring scheme, specifications printed on the box and all sides of the box printed with the brand name. When a customer finds branding on all of the four sides of the packaging boxes it stays in his mind for a longer time. And if he has a good experience with the ear set he will buy it again in the future. 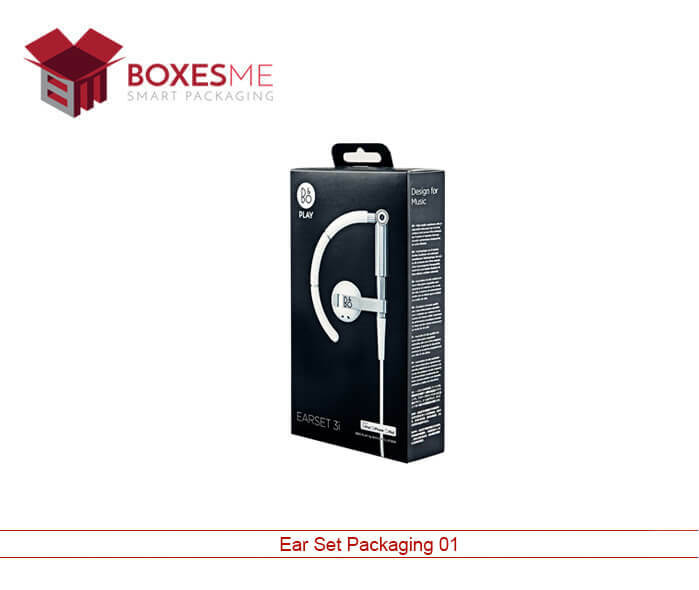 Another feature of ear set boxes is that they are cut-out from the top, which is called hanger boxes and these type of boxes are easy to hang in the shops or outlets. If you are a manufacturer of ear sets and you are bored with the typical packaging of the headphones. And you are looking for a change which can bring joy to your life by increasing the sales and growth of your business. But you have failed in finding such a company. Do not get upset because we are here at your service. Hire us and get your ear sets packaging done from us at very affordable cost. Our boxes have distinctive features in the market. Our boxes are made from high-quality cardboard. We also make boxes from fiber cardboard which is recyclable and biodegradable. Our special boxes are so trendy in the market. 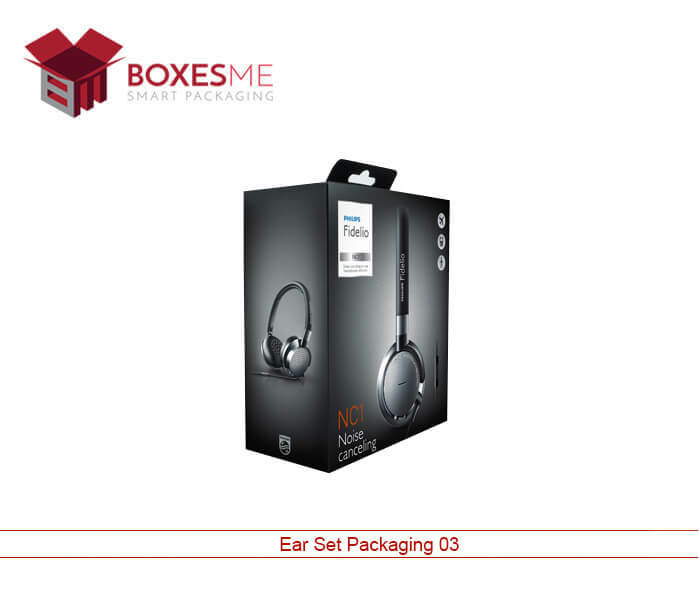 You can also avail our services to get your ear sets packaging done. We also make custom boxes as per your requirements. We are a packaging company that provides the best packaging boxes to our customers. We work according to your requirements and try to fulfill them on time. We also offer custom boxes in which you can customize from sizes if the boxes to the colour of the box. And you can add various designs in the boxes. We provide packaging service to our clients at wholesale at affordable rates. We strive to provide the best service by fulfilling your requirements. We also provide an additional custom feature which allows you to have changes in the boxes. If your packaging cost is getting out of your pocket then here is a great chance to minimize your packaging cost without reducing the quality of the boxes. Our boxes keep your product safe and secure in every way. The purpose of our packaging is your recognition in the market with a good packaging. 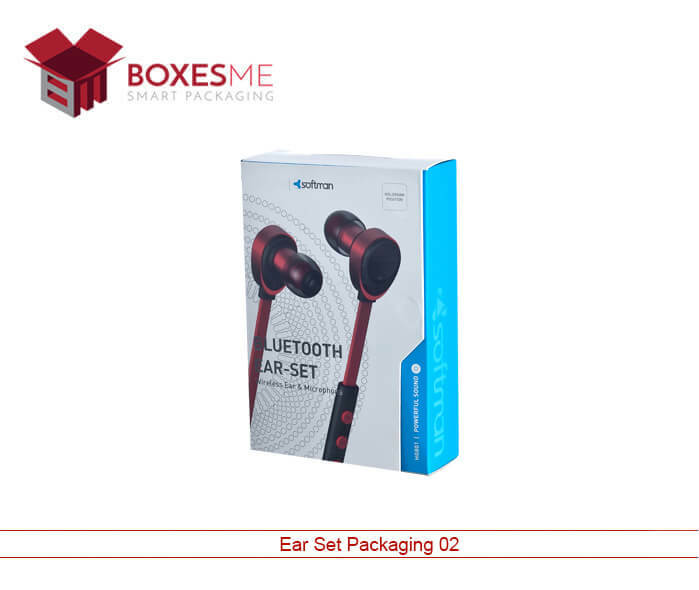 Ear sets boxes which are made from paper cardboard is as durable as your product. You can customize the whole design of the box and create your own. We just need measurements and colour scheme or themes on which we can work accordingly.